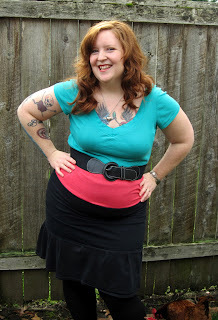 I made this super comfy, super flattering awesome dress with only 4 t-shirts and under an hour. 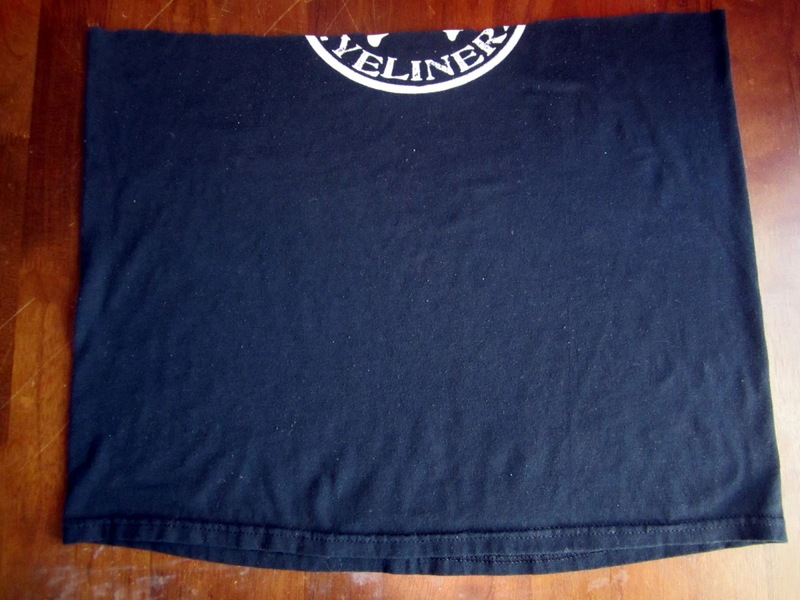 I had these shirts and I never wore them. A great way of upcycling them! Now take a shirt that will fit comfortably around your hips. 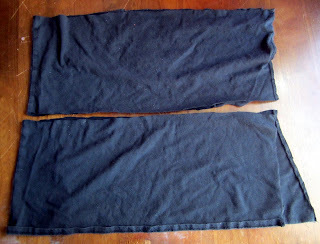 Cut the shirt right under the sleeves. If you stop here with 3 shirts, you've made yourself a mini dress. AWESOME! 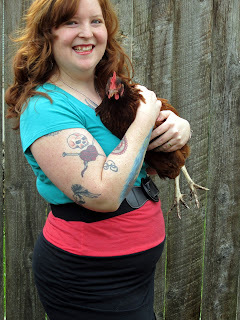 If you want it longer, grab another shirt. 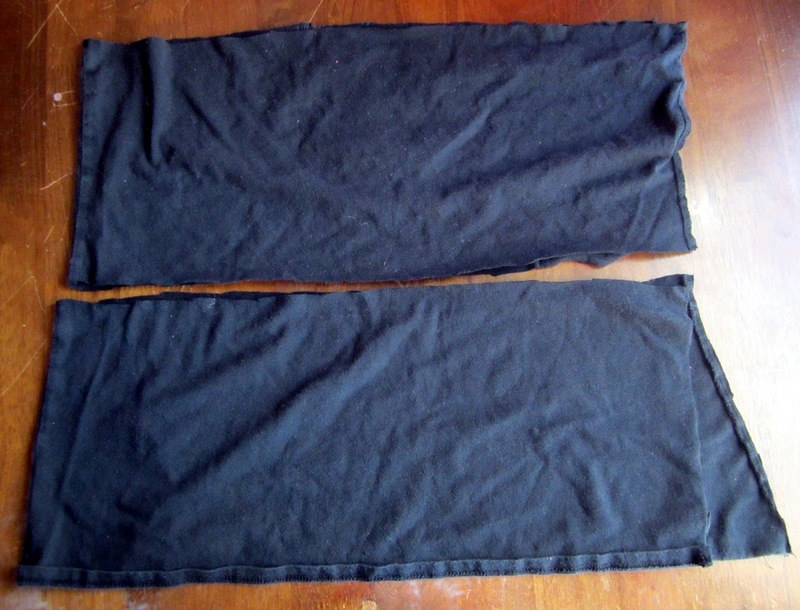 Again, cut the fourth shirt right under the sleeves and then cut the bottom part in half. 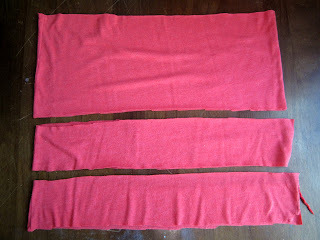 Then cut along the edge on both sides. So now you have two long strips. 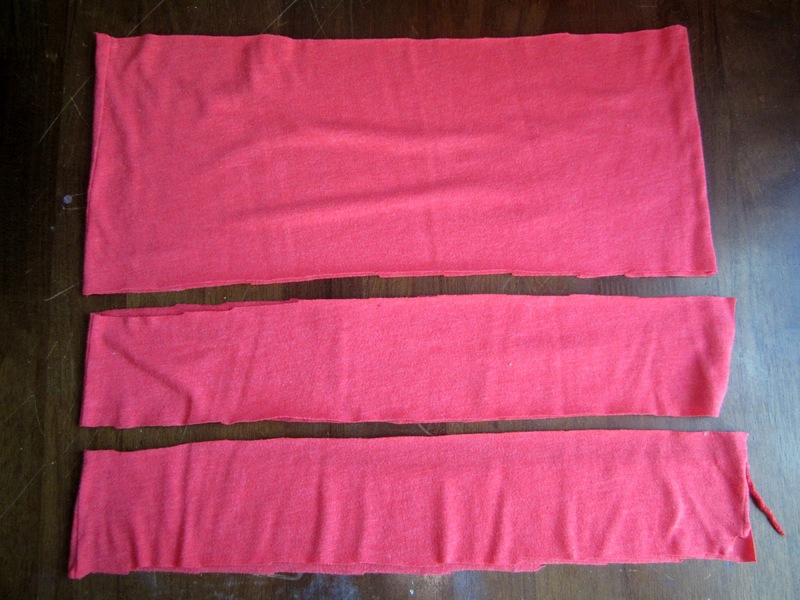 Sew the sides together so you have one very long loop. Here's how you put the pieces together. 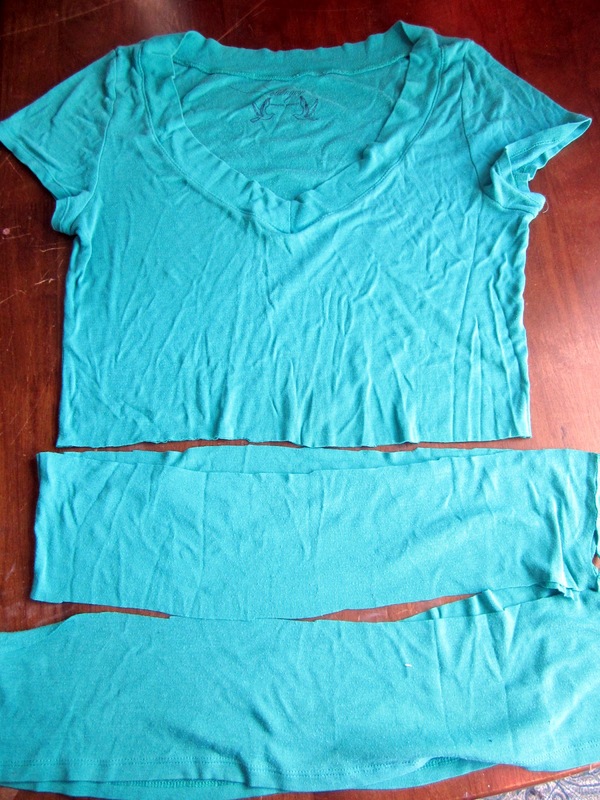 Sew the top to your middle band. 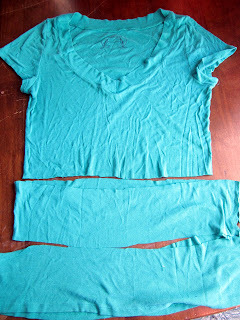 The circumferences should be about the same but you can stretch and pull and ease the shirts together while sewing. T-shirt jersey fabric is awesome for this. Then sew the third shirt- the bottom to your middle. Again, they should be the same size. Try on. Mini dress success! Want more coverage? Let's keep going! Now you can either take the super long loop from the fourth shirt and bunch it into ruffles (look up the thousand of tutorials online to see how to make gathered fabric/ruffles) or you can pleat it onto your dress- which is what I did. Evenly pin the loop to the bottom of the dress in four spots- front, back and two sides. From there pleat and pin until all the loose fabric is used up. Sew. Viola! A t-shirt dress! I didn't hem my dress since jersey knit fabric doesn't unravel. It'll just roll a little. You can use the extra shirt fabric scraps to make more ruffles, fabric flowers, rosettes, appliques. Go wild and look fabulous! Bravo! You are so crafty. Woman, they name is Craft-tacular. Love this. 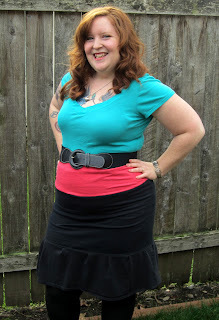 AND I loved the DIY Koolaid yarn dying tutorial!